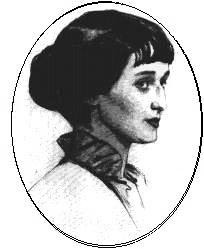 ﻿ Poetry Lovers' Page - Anna Akhmatova: "You, Who Is Cursed..."
You are here: Home » Russian Poets » Anna Akhmatova » "You, Who Is Cursed..."
ANNA AKHMATOVA: "You, Who Is Cursed..."
Your voice is wild and simple. Into a tongue of people. By hand and heart of mine.